From Cook’s Illustrated, July 2013. 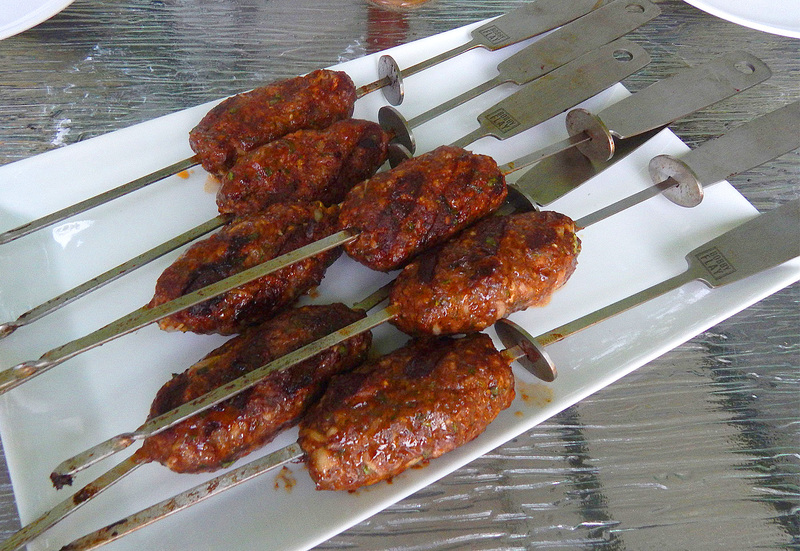 In the Middle East, kebabs called kofte, feature ground meat—not chunks—mixed with lots of spices and fresh herbs. 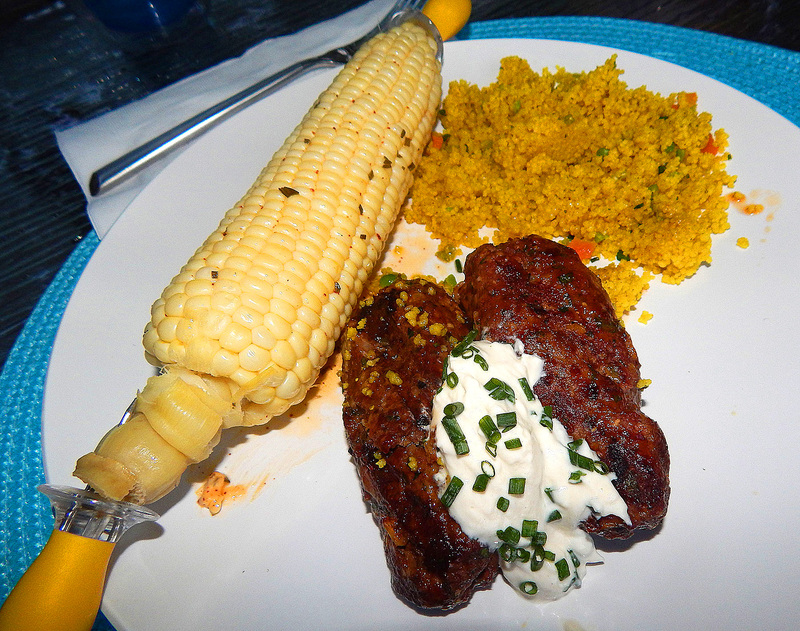 To accompany our kofte, I made a compound butter with chili powder, fresh chives and a squeeze of fresh lime juice to brush on the sweet white corn on the cob, and served a side dish of curried couscous. There were a few kofte left over, so a couple of nights later we made pita sandwiches dressing them up with the yogurt sauce and sliced red onion. Two meals from one… waste not, want not! 1. 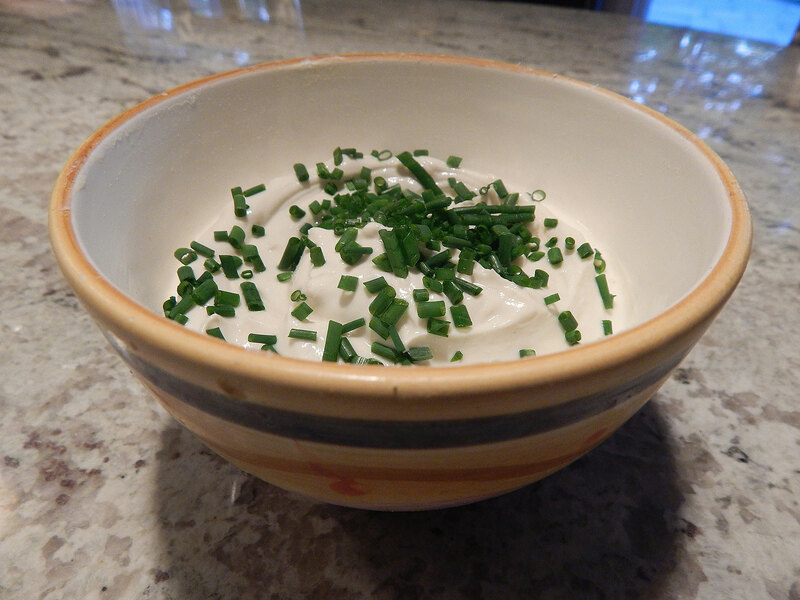 FOR THE YOGURT-GARLIC SAUCE: Whisk all ingredients together in bowl. Set aside. 2. FOR THE KOFTE: Process pine nuts, garlic, paprika, salt, cumin, pepper, coriander, cloves, nutmeg, and cinnamon in food processor until coarse paste forms, 30 to 45 seconds. Transfer mixture to large bowl. Add lamb, onion, parsley, mint, and gelatin; knead with your hands until thoroughly combined and mixture feels slightly sticky, about 2 minutes. Divide mixture into 8 equal portions. Shape each portion into 5-inch-long cylinder about 1 inch in diameter. Using 8 (12-inch) metal skewers, thread 1 cylinder onto each skewer, pressing gently to adhere. Transfer skewers to lightly greased baking sheet, cover with plastic wrap, and refrigerate for at least 1 hour or up to 24 hours. 3A. FOR A CHARCOAL GRILL: Using skewer, poke 12 holes in bottom of disposable pan. Open bottom vent completely and place pan in center of grill. Light large chimney starter filled two thirds with charcoal briquettes (4 quarts). When top coals are partially covered with ash, pour into pan. Set cooking grate in place, cover, and open lid vent completely. Heat grill until hot, about 5 minutes. 4. Clean and oil cooking grate. 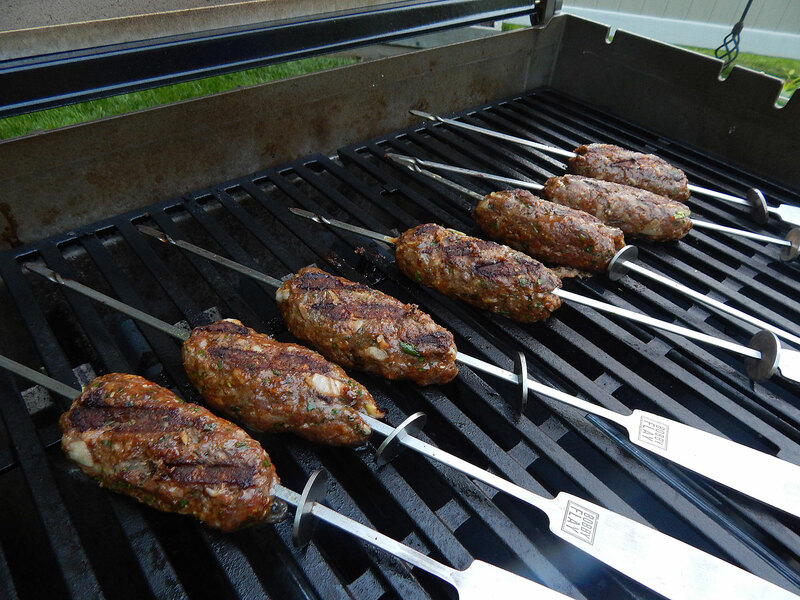 Place skewers on grill (directly over coals if using charcoal) at 45-degree angle to grate. Cook (covered if using gas) until browned and meat easily releases from grill, 4 to 7 minutes. Flip skewers and continue to cook until browned on second side and meat registers 160 degrees, about 6 minutes longer. 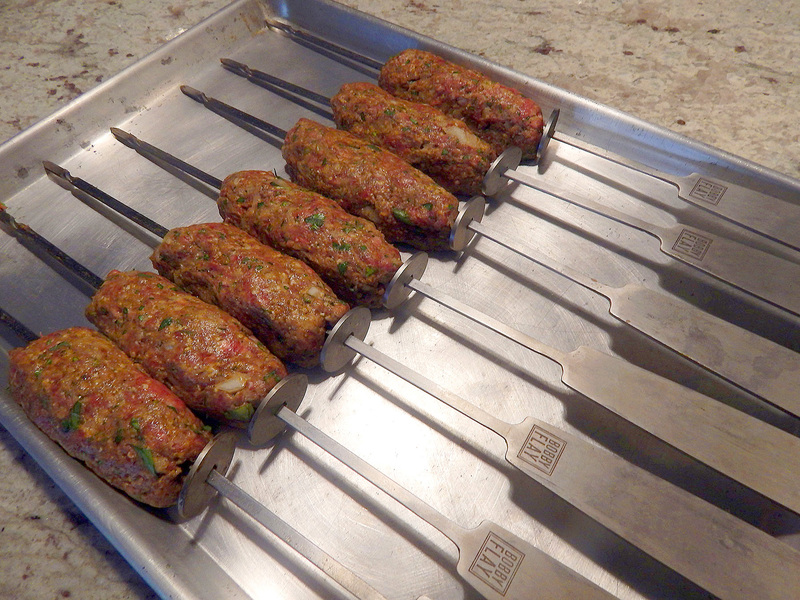 Transfer skewers to platter and serve, passing yogurt-garlic sauce separately.